On December 13, 2016, the Pipeline and Hazardous Materials Safety Administration issued an advisory bulletin to remind gas transmission line operators of best methods for identifying, mapping, and properly accounting for High Consequence Areas (HCAs). While the bulletin generally revisits standards previously conveyed, it speaks clearly to the expectations for operators’ diligence in remaining vigilant and compliant with federal law. The Potential Impact Radius (PIR) calculation stands as a key component of pipeline operators’ risk mitigation strategies. 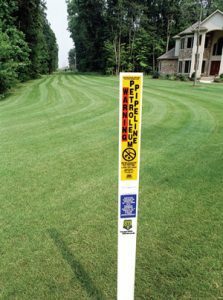 A PIR measures the radius surrounding a potential point of failure, otherwise known as a Potential Impact Circle (PIC). And while PHMSA allows for a “buffer zone” to help operators account for inaccuracies in that calculation, the better and safer approach is to minimize or eliminate inaccuracies altogether. 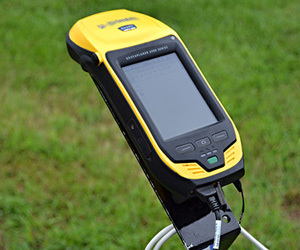 Ultimately then, critical to conducting an accurate PIR calculation is the availability of correct centerline data. Southern Brush provides PipeTrak services to help operators remain compliant with state and federal law. Using state-of-the-art equipment and innovative software solutions, we can capture a pipe’s centerline with sub-centimeter accuracy. And we package data deliverables to match our customers’ various GIS system requirements. Maintaining correct PIR calculations and effectively managing enterprise risk requires accurate centerline maps. PHMSA expects that of operators and Southern Brush helps them achieve it. 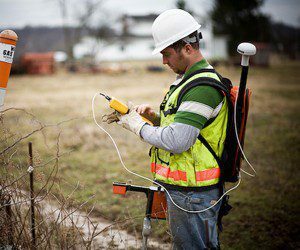 If we can provide you with line locating, centerline or depth-of-cover surveys, or any of our traditional right-of-way maintenance services like mowing and vegetation control, please contact us today.